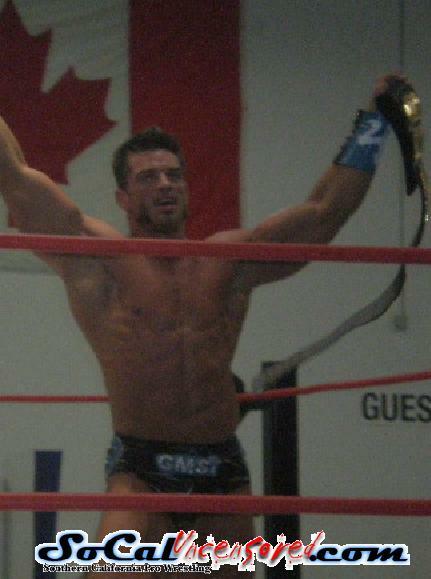 MWE Heavyweight Champion Brian Cage, Stripped! MWE Commissioner Christian Cole has stripped Brian Cage of the MWE Heavyweight Title. Due to Cage’s leg injury, and being unable to perform on May 25th, Cole stated this was the best decision for MWE. Cole also announced the James ‘Main Event’ Morgan vs Famous B match will be an MWE Heavyweight Title match. MWE CHOC benefit show, May 25th. Visit www.mwewrestling.com for ticket info. Tickets only $10!